Losing a loved one can be extremely difficult, but it can be even more devastating to lose a loved one due to someone else’s negligence. The pain of the loss, together with the burden of those left behind to pick up the pieces can be overwhelming, and may be too much for some to bear. A wrongful death claim intends to hold a particular individual or entity legally accountable for causing fatal injuries to another individual. The primary goal of this claim is to provide financial compensation to the decedent’s spouse, children, or parent. Todd Johns Law represent individuals and families who have lost a family member in an accident caused by the negligence of another person or entity. I understand the pain of losing someone and the difficulties of dealing with insurance claims, cash awards and wrongful death settlements so soon after such an unfortunate event. I will assist you throughout the entire legal process in the most sensitive and compassionate manner possible. The jury award or settlement in a wrongful death claim depends on several economic factors, such as the decedent’s life expectancy and income, medical costs incurred prior to his or her death, the pain and suffering the decedent may have suffered from, as well as non-economic factors such as the surviving family’s loss of companionship, loss of parenting, and emotional anguish and distress. Our legal team will ensure that by filing a wrongful death claim, you and your family obtain the compensation you need and deserve. I will utilize our knowledge of Pennsylvania wrongful death law, our years of experience, and our extensive resources to help you through this emotional time and see to it that you achieve a fair verdict. Whether the cause of accidental death was an auto accident, a workplace accident, a slip and fall accident, or a defective product, it is best to act quickly and pursue legal action against the responsible parties, no matter how difficult it may be to do so. 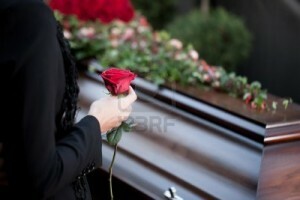 Consult with a wrongful death attorney as soon as possible to determine whether you have a case.